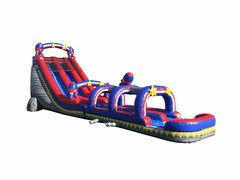 Our 22 foot Rocket 2 lane Run ‘N’ Splash Water Slide features a radical angle that is sure to get your adrenaline pumping. As the riders drop down our 22 foot Rocket Water Slide and continue towards 28 feet of additional sliding fun before landing in the splash down pool. This Awesome looking waterslide will blow your mind!!!! 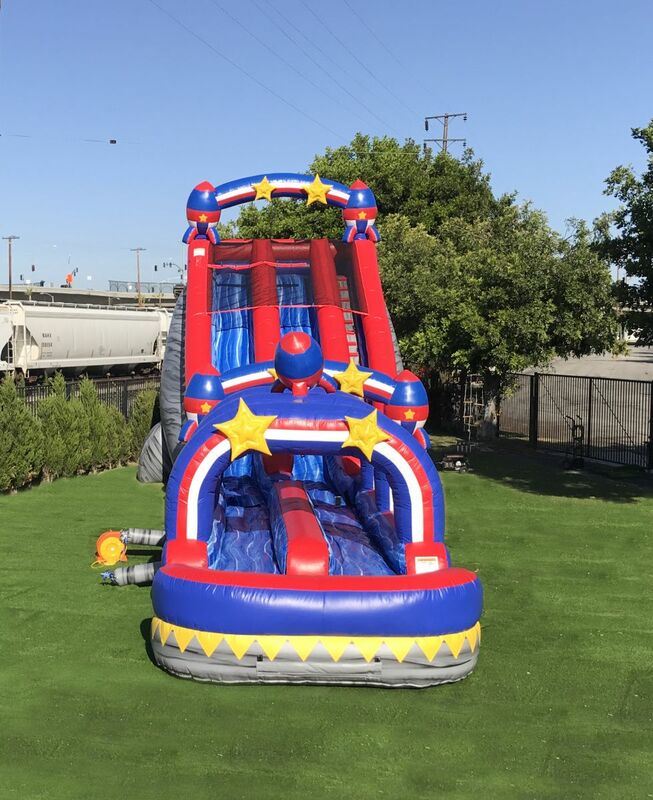 This unit is perfect for Schools, Churches, Block Parties, Summer Camps and Corporate Events and can handle crowds of any size. 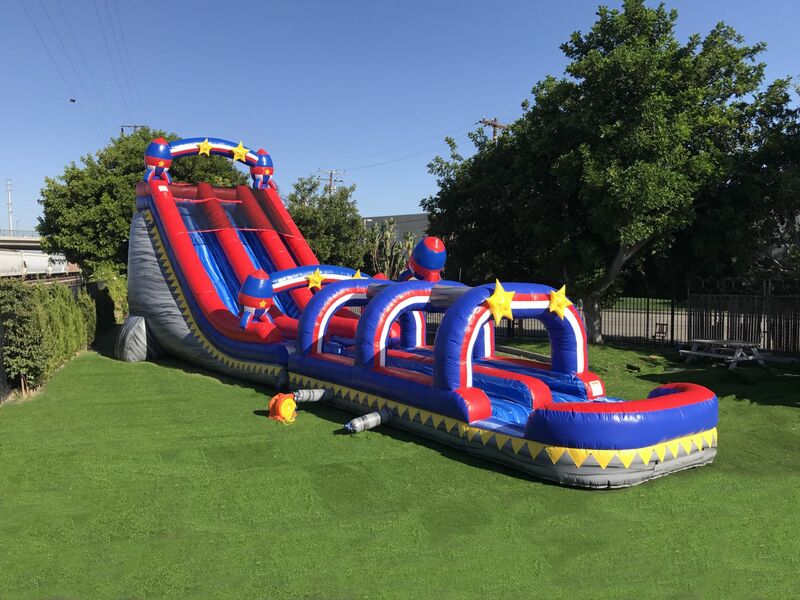 This waterslide will add a WOW factor to any party and is ideal for kids ages 5 to adult. This slide is particularly popular with teenagers.